Printing in the seventeenth century was always a risky business–printing folios especially so. 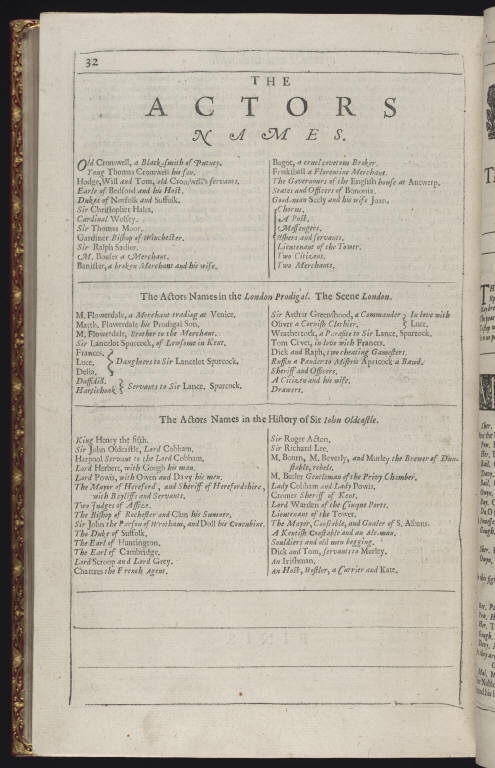 Their size and their volume meant more pages of greater size than quartos and other pamphlets required–and paper, then, was more expensive than it is today–so that the failure of a folio edition to sell could amount to financial ruin. 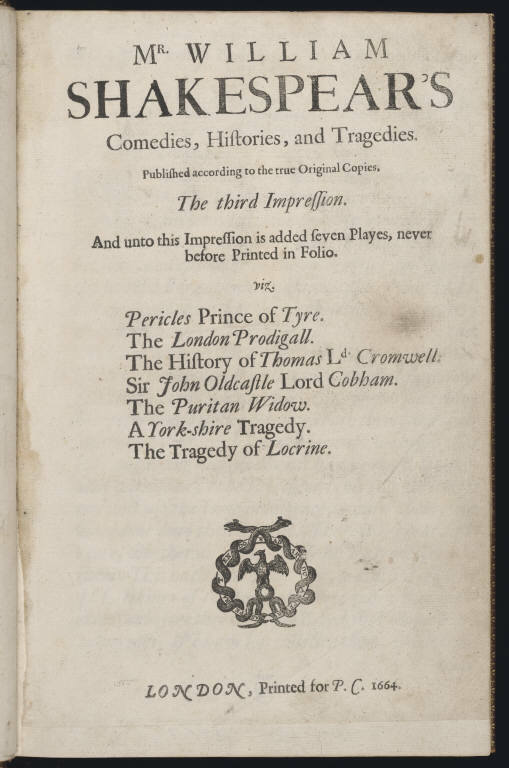 The great difference of the Third Folio from the previous two editions is breadth; seven plays, with the Third Folio, make their way into the Shakespearean canon–plays which, as the book advertises, had never before been printed in folio form: Pericles Prince of Tyre, The London Prodigal, Sir John Oldcastle, The History of Thomas Lord Cromwell, The Puritan Widow, A Yorkshire Tragedy, and The Tragedy of Locrine. 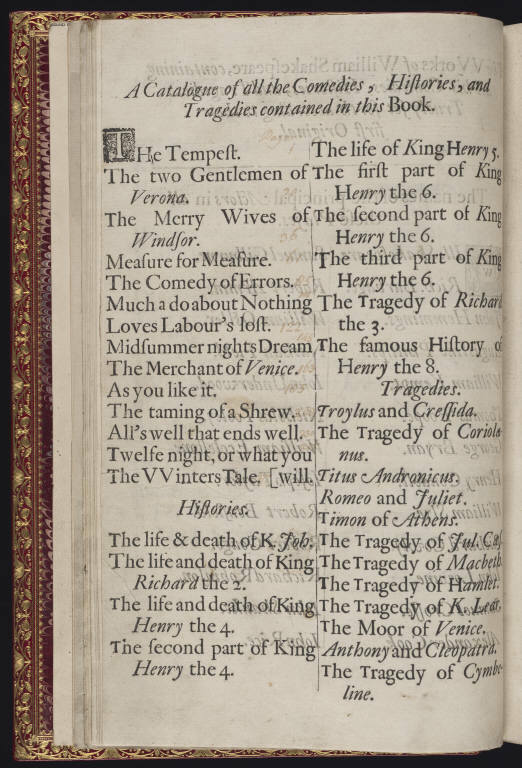 Of these, only one remains certainly attributed to Shakespeare–Pericles–and even that play bares the mark of other, collaborating hands. 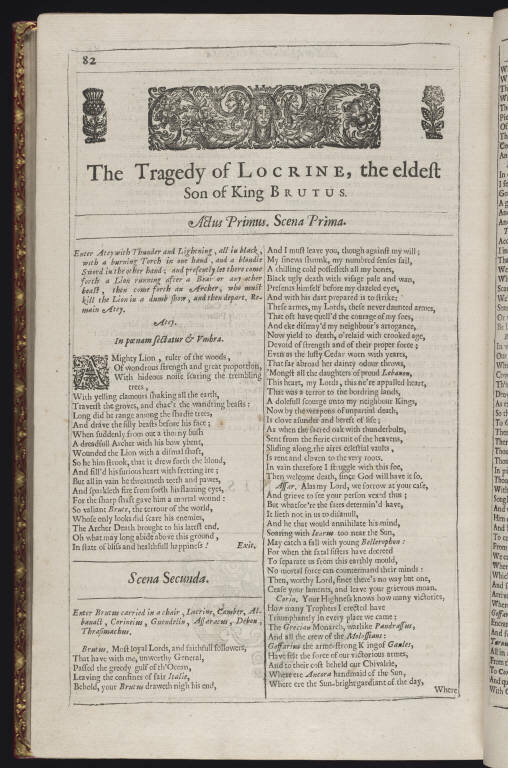 But to the many readers who purchased a copy of the Third Folio, which became the standard edition of Shakespeare’s works from its 1663 publication through the beginning of the eighteenth century, it was not so clear that such plays were Shakespearean apocrypha. 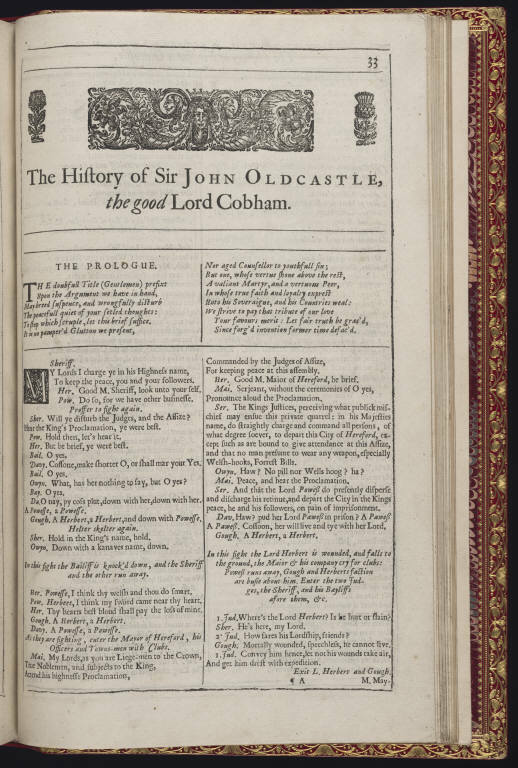 Instead, the Third Folio of Shakespeare’s works became the Folio of Shakespeare’s works, definitive and capacious enough to prompt Oxford’s Bodleian Library to sell their old copy of the First Folio once the Third was atop their shelves.